MS Outlook often runs into annoying errors that can crop up out of nowhere. Such errors might not be very easy to comprehend on first look which is why we often see Outlook users complaining on technical forums. The truth however is that, more often than not, it is not that difficult to fix Outlook error codes and a few easy steps are all you need. This article will be focusing on the MS Outlook error 0x800ccc0f that indicates that there has been an interruption in the connection to the server. Read on to know the causes, fixes and the ultimate solution to this error. This error can also occur as Outlook 2010 send receive error 0x800ccc0f. Old versions of Outlook like 2000 and 2002 and Outlook Express can also get plagued with this error. Hence, understanding the root cause behind it becomes necessary. Now that you’re aware of the exact reasons that trigger this error, you can try out some handy fixes mentioned in the next section to resolve it. Resolving this error involves many approaches based on what the exact reason is from the ones listed above. Try each solution mentioned below one by one and send / receive emails after applying each one to test if it is rectified. Open a browser window and type any website’s URL. If it opens, it means your computer is connected. If not, you’ll need to troubleshoot network connectivity problems. by right-clicking on your Wi-Fi connection signal or Ethernet cable connection signal and clicking on “Troubleshoot Problems” from the pop-up menu. Go to the ‘Security’ tab, and switch off the Firewall. Go to Outlook -> Tools -> E-mail Accounts -> View or change existing e-mail accounts -> Next. In the E-mail Accounts dialog box, click Add. The settings for Outlook profile will differ for each Outlook version. Hence, read about profile settings and how to change them (or delete the current profile and create a new one if required) and then proceed carefully. Exercise caution before applying any changes since a wrong setting could worsen the problem. If none of the above works, the problem might lie in a faulty PST or OST. You can try repairing it through Microsoft’s in-built inbox repair tools ScanPST.exe and ScanOST.exe. Locate these tools on your computer and launch them one by one. Specify the PST and OST files your Outlook profile is using and the tool should do the rest. All the above manual solutions work but suffer from limitations. They might not rectify the problem fully or need a bit of technical know-how about Outlook. Furthermore, if while following them you delete your Outlook profile or damage the Outlook data files badly, you might end up with data loss which would be disastrous. To avoid all hassles, thus, the recommended solution would be to extract all data within new usable PST from OST file. 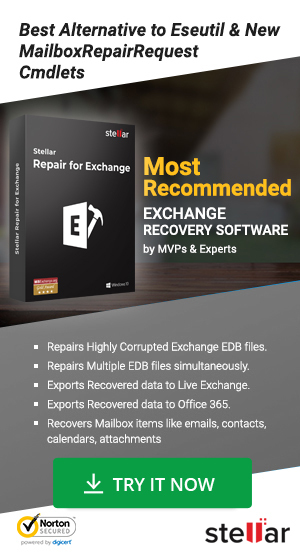 For this you can use Stellar OST Repair Tool . This Outlook utility is excel in the task to extracting all objects within OST files and stores them within new PST files. No matter what the Outlook error really is, with the mentioned above software, you can get Outlook working in no time. Outlook 2010 OST File Keeps Getting Corrupted! Resolved! Using Outlook 2010 version, but Inbox repair tool completely failed to fix the issue. Your help is highly appreciated admin! Keep visiting for more Outlook troubleshooting tips! However, the tool you suggested above has done its job. Keep posting helpful stuff! It helped a lot. I’m not sure why first method didn’t work for you. Did you receive any error message on your Outlook screen? Never received any error message, but issue has been resolved? May be I’ve missed any step. Based on my years of experience and analysis it is the most usual occurring error in Outlook environment; mainly in older versions like Outlook 2010 and 2007. Tried all the possible fix including scanpst & scanost but nothing helped as I was expecting. It’s better to get an tool and recover your Outlook data and import it into your profile rather than wasting your time on manual procedures. Dear Andrew, there is random causes behind the Outlook error 0x800ccc0f so it is hard to say which solution best meets your requirement. Of course using the tool I suggested above is the easiest way to get over it! It seems my OST file is oversized. Can you suggest how to handle oversize Outlook data file? I don’t want data loss. The best idea to handle oversize OST file is the file splitting. You can split the bigger OST file then save as smaller PST using Stellar OST to PST Converter – Tech version. This software is specially developed to handle oversize OST file issues. P.S. you won’t lose any data during splitting the file. It helped me a lot! Few users in our domain were facing the same problem at regular interval. Not sure about others but antivirus was conflicting the sync process between Outlook data files and server. Glad to heard that Outlook issue has been resolved. Tried multiple solutions but finally it resolved, thanks. Follow the same steps for Outlook 2016 and try again. If the issue remains exist, please revert back. Uncheck “My outgoing server (SMTP) requires authentication”. changed the outgoing server (SMTP) port to 26. Thanks for sharing your valuable feedback with our readers. I am getting this error with Outlook 2016. But it is only occurring on only ONE out of the four POP accounts I have configured. This one is for Gmail. You say to switch off Windows Firewall – do you mean permanently? Isn’t it there to protect my PC from hackers/viruses/etc?… in which case I’m reluctant to switch it off. Also – why would I get this problem on only one of the POP accounts? Any ideas? I hope, the above troubleshooting tips will help you a lot. Hi Admin, I have been through the manual processes to no avail. Downloaded and installed StellarServerTools and it could find no OST file. What am I doing wrong? What steps you used, please mention..